In this episode, I have the honor of talking with Byron Rodgers. Byron is a service-centered Executive Protection Agent, Motivational Speaker, Video Blogger, Published Author, and Veteran on a steadfast mission to empower men of the up-and-coming generation to fully embrace and flourish within their masculinity and above all, keep people safe. Over the span a decade, he has gained extensive private security experience, conducting private security operations for each available VIP demographic ... Más informaciones industry-wide in over 60 countries. He proudly serves as the Chief Executive Officer at Bravo Research group, the Supervisor of Security at Harvest Christian Fellowship, and the Executive Protection Agent of various initiatives. In addition to holding a Bachelor’s degree in Psychology from the University of Phoenix, he is presently pursuing his Master’s degree in Counseling Psychology at Argosy University. He has also received Strategic Interventionist training at the Tony Robbins Training Center. Byron and I have a great conversation and cover many topics including, how to get into Executive Protection, what the average guy can learn to become a more competent protector of his family, what you should do before you travel out of this country, and much more. 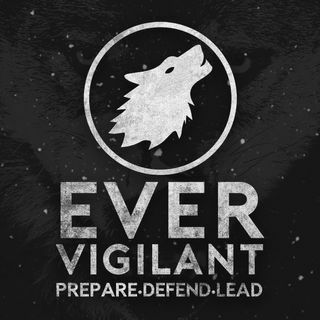 Visit https://www.Patreon.com/evervigilant and become a part of what we have going on here, Join The Wolf Pack! Use Patreon.com/evervigilant to engage, encourage and challenge one another in our daily battle to become better men, better husbands, better fathers, and better leaders. Duuuuude! Excellent interview and encouragement.